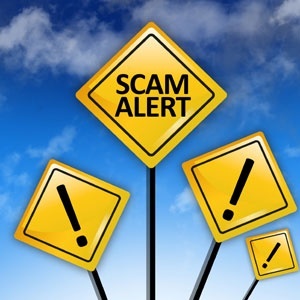 Cape Town - The South African Revenue Service (SARS) on Thursday warned job seekers to be vigilant of being exploited by fraudulent employment offers. “SARS has noted a SARS-branded e-mail that is being circulated which confirms acceptance of the recipient into a bogus ‘SARS Learnership Programme’,” it said in a statement. “The prospective applicant is then instructed to make a deposit of an ‘administrative fee’ into a Shoprite Money Market Service account for the application to be processed. “The e-mail scam is an adaptation of another scam whereby individuals posing as SARS staff notify people that they have been successfully employed by SARS and are required to buy uniforms and identity cards which are SARS-branded and appear authentic. “Members of the public are reminded that SARS will never ask that a payment be made into any other account. SARS does not endorse commercial venues. “Members of the public are also urged not respond to e-mails from unknown sources. Any correspondence can be verified by contacting the SARS contact centre or the nearest SARS branch. “Members of the public are urged to report these illegal scams to the police to avoid further exploitation of the vulnerable. Visit the SARS scams and phishing webpage for more information.